Everyday Meg : The Day I Had to Go Back to 1996. Today I was instantly I was transported back to the days of roller skating to The Spice Girls, dial up Internet and when Sonic the Hedge hog ruled our Sega . 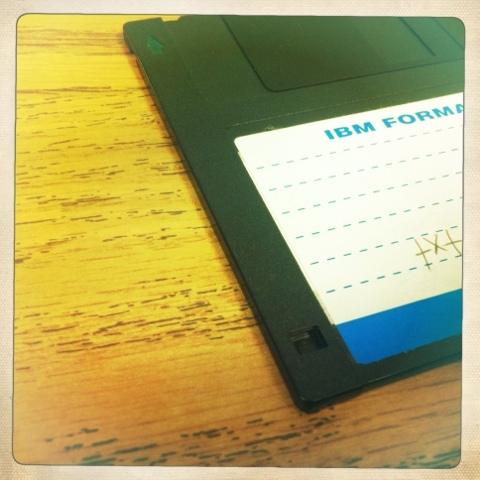 Today, I HAD to use a floppy disk. I have a small "computer" center in my room. Currently we are working on a project that is going to require a little more umph than my old machines are going to provide. Unfortunately some kids had already started on the 3 dinosaurs I have. I bent down to put my flash drive in the slot and quickly realized "ummm there isn't one!!!" OK easy fix... i'll just attach them to an email to my self... Nope,email is blocked. 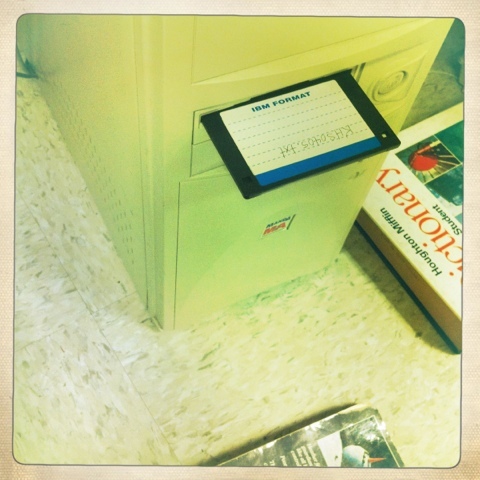 The quick thinking teacher I am I remembered seeing some floppy disks in the computer lab..BINGO back to 1996 it is! 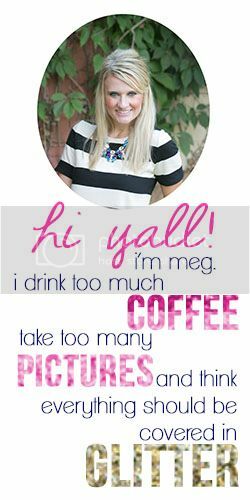 And being the good blogger I am (ha..right?!) I documented my computer nostalgia for ya! "Miss Scholz! What is THAT...it looks REALLY old"
AND in case you want a little bit of 1996 too here ya go! Oh my goodness! I wouldn't even know where to find a floppy disk these days. FLOPPY DISK?! Oh, my sweet baby pandas! That is absurd! You really DID jump back in time. Yep... that show ya what I am working with out here in the middle of no where?!? and why I am DYING to get to h-town! haha ONE YEAR and 14 days! Honestly...I don't even think I remember how to work a floppy disk...?! Ahhh floppies! I remember my parents having a little plastic container full of them. And yay Spice Girls! You are such a cute teacher, I bet your students just love you! Haha....this crackssss me up!! I def remember 1996 and Spice Girls, and rollerblading, and floppy discs.....Thank goodness for the 21st century!!! Oh man, I totally remember those days.... I remember wearing my Spice Girls shirt in the computer lab with floppy discs and AskJeeves.com (remember that one?!). BTW, your hair looks uber cute! Is it terrible I used to carry a lollipop around ALL the time cause I wanted to be Baby Spice?? OMG that was the coolest thing back in the day... You typed it in the computer and it gave you the answer... wahhhhhttttt?? innovative! Thanks I actually put some effort into it today!! UMMM YES... I try to make it seem like I have a rhyme or reason on who gets to use it "next" but I am also VERY selective! I am sure you are counting down too! Although one day I am sure we will be talking like this about something we find so cool and necessary now!! They love me 95% of the time! i remember when my dad came home with a rainbow colored back... life changing!! Us 90's kids had the BEST music! I am so surprised I did somehow remember how to use it... I guess it is like riding a bike... which coincidentally I feel like I also learned to do in 1996! Awww thanks! I try except for those #vampiretigers... they make me not so cute!! 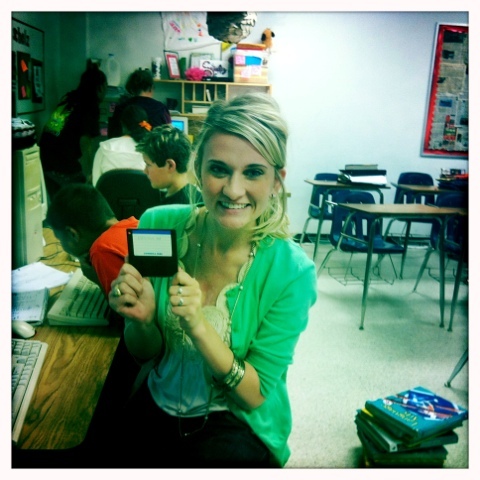 OMG geez blast from the past...we used floppy discs all through high school. How crazy! I forgot all about those little things!! And THANK you for that Spice Girls video...you just made my day! Those were the DAYS. I remember I had this box full of Floppy Disks for school projects that were all kinds of cute colors, like Turquoise and Green. I didn't think it got cooler than that! that's funny. i like your "chairs" too. my favorite computer game was on a floppy disk and i was really sad when we got a computer that didn't have one! I was just doing some office cleaning today and ran across a couple of floppies myself. I don't think they'll fit in that SD card reader slot. haha!